Do your carpets suffer from various stains? Contact Keep Clean and have them cleaned professionally. We are the very best commercial carpet cleaning Bury has to offer. We offer a selection of expert cleaning procedures that will remove all stains from your carpets and restore it back to its original appearance. 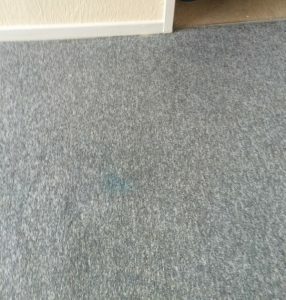 If your commercial property carpets are looking dirty, you may think the only way to sort out this problem is to buy completely brand new carpets. At Keep Clean, we have a solution that means you don’t waste money on new carpeting. Employ our team to expertly clean the carpets so they look brand new but at a fraction of the cost it would be to replace the carpets. Your carpets will take between 2 to 4 hours to completely dry. Once all of these procedures are complete, your carpet will look brand new again. At Keep Clean, we also provide a specialist cleaning service for incredibly hard to remove stains, such as chewing gum removal, advanced anti-microbial treatment, urine contamination and odour treatment. Our expertly trained team are adept at performing bonnet buffing carpet cleaning, which is perfect for cleaning medium to light coloured carpets. This service is also great for carpets that only need a light cleaning, as it only takes 30 minutes to dry and is a quiet cleaning system, so can be undertaken during office hours without disturbing your members of staff. At Keep Clean, we have been a leading provider of specialist cleaning services since 1998. We’ve built an exceptional reputation for making commercial properties in Bury look bright and spacious after we’ve completed our carpet cleaning services. Our services start from as little as £35, which includes stain removal and deodorisation. Unlike unreliable cleaning services that make promises they can’t keep, we’re proud to be members of The Approved Carpet Cleaners Association and The WoolSafe Organisation, who only accept membership from reputable and professional cleaning companies. For before and after photos of our commercial carpet cleaning in Bury, view our gallery.